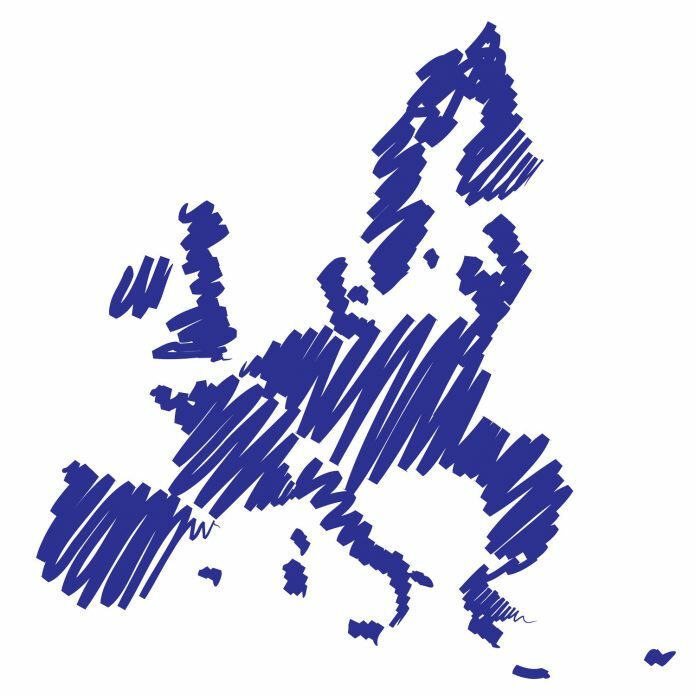 For over a decade, articles and op-eds about Europe have been framed from the perspective of crisis, and, every outlook for the year ahead has tended to focus on the pressure-points and potential challenges ahead. Naturally, from this perspective, scenarios and predictions about what the new year ahead may hold tend to oscillate between binary versions. On the one hand, descriptions of an ‘etat de crise perpétuelle’ and vicious cycles of intensified confrontation, polarisation and fragmentation; on the other, optimistic visions of what could almost be described as an expectation that the ‘system will auto-correct’ towards some utopian notions of stability and bounty. Given the political nodal points ahead in 2019 – the possible withdrawal of the UK from the EU, the national elections anticipated in many Member States, a new EU institutional cycle commencing with the European Parliament elections in May – it is fair to expect that many op-eds on the year ahead, including in this publication, will focus on the pressure points and extrapolate about the likelihood of another crisis. And it is fair to expect that many will conclude, possibly with a tone of resignation – or relief – that most likely, the EU will find some way to muddle through, kicking the can down the road for the crucial decisions, and sacrificing ambition for the sake of unity. It is equally fair to expect that many will position two or three proposals as the ultimate ‘game-changers’ that everyone must rally around. But what if we were to think about 2019 not as another potentially crisis-packed, exceptional year, but rather as a ‘normal’ year, typical of the early 21st century? A year whereby on average, there are around a dozen national and regional elections across the EU (along with the European elections in all 27), and ever more sophisticated attempts at influencing (or manipulating) these via digital means. A year whereby keeping abreast with the speed and scale of global tech developments will be increasingly challenging, and the prominence of China ever more stated. A year whereby Europe will remain an attractive destination for many migrants and asylum seekers from around the world. A year whereby climate-related pressures and deteriorating security environments will continue to increase the number of forcibly displaced persons, and the number of natural hazards. A year whereby everyone will invest ever more in security, yet won’t really feel safer. And at the very same time, a year where Europe will continue to demonstrate its unparalleled – and too often underestimated – potential to shape the standards and values inside the Union and globally, through its regulatory framework and commitment to multilateralism and democracy. It is not without reason that the EU is sometimes referred to as a ‘normative super power’. So, in this normal year ahead (because, honestly, we can hardly continue talking about the ‘new’ normal when it has been the quotidien for the better part of the past decade), what if there was clarity and common sense about the priorities we can, and must, deliver on? What if the EU Member States were honest about what they can tackle alone, and just as honest about what they can’t, or about how much more they can achieve when they pool their resources together. And what if they told their citizens just that? That mitigating climate change requires global cooperation and only the EU as a collective actor carries enough weight and ambition on the global scene to be able to make a difference. Mitigating climate change also means transforming entire sectors and regions of the EU towards cleaner and greener models, but the societal and financial costs of these transitions are very high and all Member States need support in these undertakings. A support that the EU level can provide. That the threats to security in the 21st century are more hybrid and diffuse than ever, that Hobbes’ Leviathan has gone digital, and that defence spending in every other corner of the world has been picking up speed. And it’s no longer only about guns and tanks but also Artificial Intelligence, hybrid threats and radicalisation. That is why a European Defence Union and Security Union are needed to strengthen member states’ own national sovereignty and autonomy. That Europe’s external borders are as secure as its individual parts and that a common management of external frontiers is a prerequisite for the security of all Europeans, just as the ability to manage migration flows is a function of acting jointly and collectively. That between the big tech companies of Silicon Valley that have yet to step up to their societal and civic responsibilities, and the worrying digital authoritarianism that is being powered up in China, there is room for responsible tech. Europe can and must pursue a third way of digitalisation, one that really tackles the grand challenges of our times and not only a commercial ‘bottom-line’; technology that is compatible with democracy and fundamental rights; technology that is human-centric and ethical. But that this requires a common investment strategy as well as – and please forgive the ‘vice’ of an EU administrator – a forward-looking regulatory framework that can only have real, global impact if developed at the supranational level. According to the most recent Eurobarometer, European citizens rank terrorism, immigration and pollution as the top three risks for the EU in coming years. All of these phenomena transcend national boundaries, and can be more effectively tackled together and in unity vis-à-vis the rest of the world. Isn’t it time that we made solving such overriding citizen concerns European Common Goods on which EU focuses regulatory instruments, financial resources and political capital? After all, they are a prerequisite for a resilient Europe that can continue to shape its own destiny. 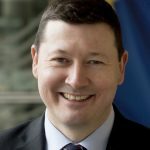 Martin Selmayr is the 7th Secretary-General of the European Commission.